When I first came to Maroubra Beach a few years ago to kill some time before a flight out of Sydney, I had no idea there was this gem of a rock pool just around the headland to the north of the beach. What a miss. 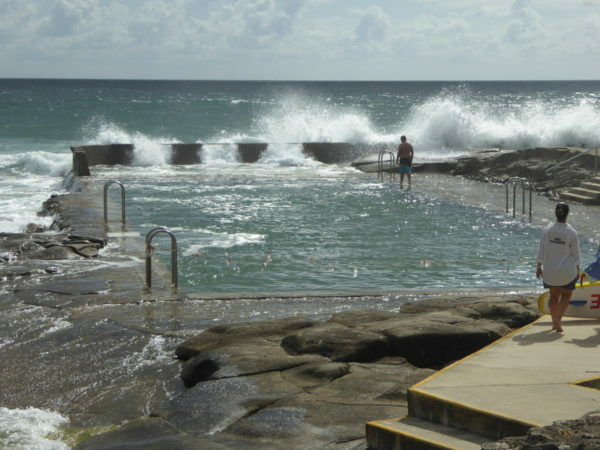 This is surely one of the most delightful ocean pools in NSW. You see it first as you approach past the big Mahon Pool sign on the grassy expanse above the ocean. Down a snaking path to the rock platform and there is the pool. If you’re going for the first time, try it on a day with bright sun and clear blue skies for the best effect, with the deep blue of the water and the glittering sparkle of the sun, it almost made me sprint down the path to get into the water. I thought I’d check out the changing rooms first, though, and that meant running the gauntlet of the Maroubra Seals, sitting on the benches taking in the rays after their morning dip. Don’t worry, though, they’re a friendly bunch and I was actually a bit disappointed that they’d already gone when I returned hoping for a chat after my own swim. There are photos on some pages of Mahon Pool in a storm and it looks quite dramatic, as it is open to the south-westerly swell, which can make swimming here quite a challenge. But for my swim on a warm spring morning in mid-November, conditions were perfect. The water must have been 20C or so, the incoming tide was washing waves gently over the side making for that frothy, bubbly water that can be a little unnerving at first, and the pool is a nice length for doing laps or lounging around. I didn’t see anything hazardous, though, as I swam around. It’s a bit mossy on the pool walls and there are a few shells there, so I didn’t want a repeat of my gash from Pearl Beach the other day, but other than that, Mahon Pool is my idea of heaven. Lots of buses from Central Station, Circular Quay and Bondi Junction pass right by the pool. It is a ten minute walk back to the centre of Maroubra Beach itself. There are steps into the pool on the cliff side. They’re old stone steps and they get a bit slippery and green once they get below water level, so beware. There’s one shower on the rock platform by the pool and a set of showers in the changing rooms up at the top of the cliff path. I was there on an incoming tide but still a couple of hours off high water and the waves were already gently lapping over the pool wall. I imagine at high tide this pool is virtually submerged and in a storm I have seen photos of it looking more like a soapy washing machine, so beware then! 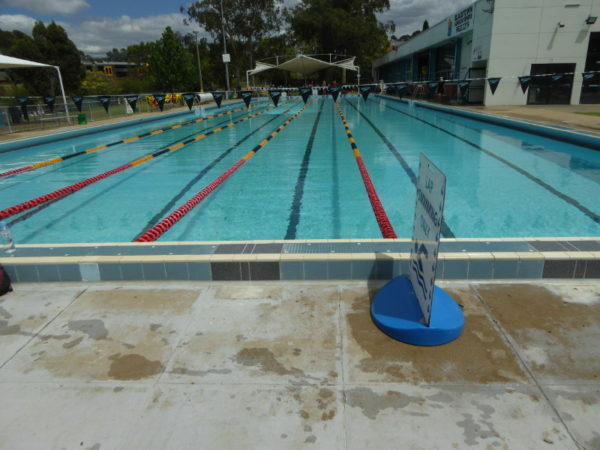 Pool must be about 25m – 30m, but it is an irregular shape, so no lane markings or anything as formal as that. Mahon Pool has the real feel of a rock pool, especially with its sandy and rocky floor and its very uneven pool walls. 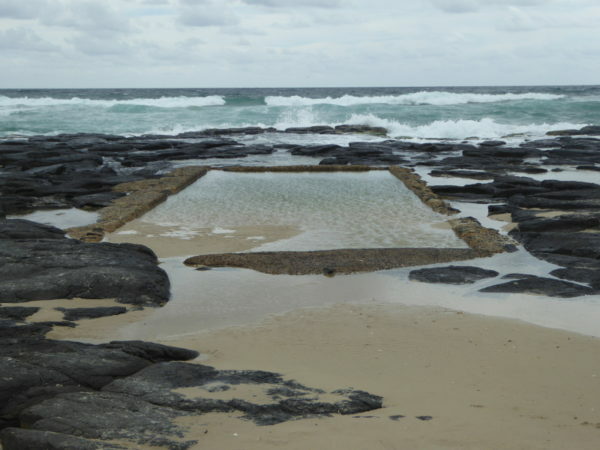 When the pool was built in the 1930s, the wreckage of the Hereward was still there off the beach at Maroubra from the 1898 shipwreck. The last bits of ship were removed in the 1960s as it was becoming a hazard to surfers. The Maroubra Seals Swimming Club has been going since 1958 (members seem to wear speedos with SEALS printed on their bum even today!) It joined forces with the local Surf Life Savers in the 1960s to create the big social and community club that now has the enormous premises down at Maroubra Beach itself. Apparently in the 1990s, a Peter Doyle novel featured a dead body floating in this pool. And there’s this rather nice post on The Guardian website from 2014. You want a decent coffee or tea after your swim in Mahon Pool, you’re well served here at Pool Café (yes, it was once called Poolside Café, but that was under previous management, so ignore any reviews of that one). Coffee is from Campos so a reliable brew and made on a beautiful Marzocco machine that sits on the bar facing you as you enter. Fabulous views out to the ocean (but no pool views, it’s too far down under the cliff) so you can watch sailing boats drift by and dream as you sip your coffee. Tea from T2. And they do a tasty muffin, though by the time I got here, lunch was on its way and the fish smelled pretty good, too. G’day Simon, I lived at Maroubra as a teenager in the early 60’s. Mahon Pool was a favourite for us when the surf was too rough. However it was not unusual to have waves breaking into the pool and you got washed from one side to another. 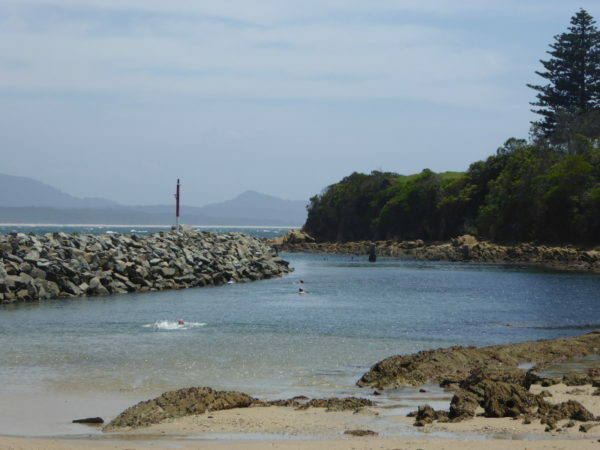 Although I now live on the Gold Coast I recently visited the pool in 2015 and like your blog I took many photos. Have a look at my blog for August 2015. I also visited a few years earlier and that story and photos also appears in the blog. I just found your blog this morning and searched to find the Mahon Pool first before I read any further. My wife just absolutely loves rock pools and I am sure she will be afan also. Thanks for the memory Frank. I’ll track down the link to your blog and add it to the links here for Mahon Pool. Have you got any photos of the pool in the 1960s? Has it changed much? Hi Simon, any photos I may have had from the 60’s could be anywhere now. All the photos from my youth, Army days and my first wife I gave to my daughter and truthfully I think they are in the same box as when I gave it to her…unopened. My three sisters probably spent more time at the pool as did my brother so I will talk with them this week. If they have any photos I am sure they will know exactly where they will be. I think the toilet blocks may be new, as are the signs and safety railings. The link to my blog was part of the reply process and is repeated with this reply. Pingback: 477. Sunday 14th February 2016. Oooh its St Valentines Day…. | Frank & Donnis Travel Blog "the more we see the more there is to see"
Thank you Simon for this website, I have just found it. I have swum most of the natural pools of Sydney but my favourite will always be the Mahon Pool. 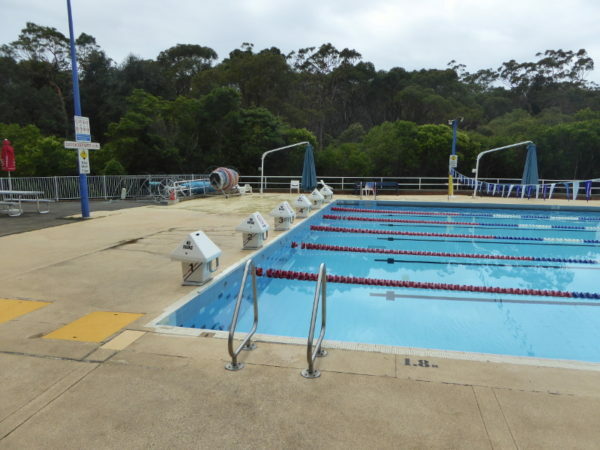 I grew up in Maroubra and taught myself to swim at the Mahon Pool just after the war. As kids we would swim at the beach then climb around the rocks for another swim at the pool, I remember the route to this day. I have seen the pool in all of its moods, but my most remarkable sighting was just a couple of years ago. From the clifftop above, just as the sun was peeping over the horizon – a whale and calf just off the pool – they lingered a few minutes then lazily swam across the bay – that was truly a sight to remember.